Have that Rancho Sahuarita party in your own backyard! 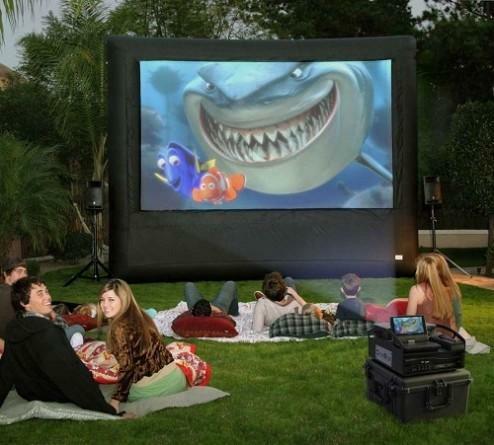 A 12 foot diagonal screen, projector with built in DVD, and a 150 watt sound system will make any backyard movie night incredible. Customer supplies movie and fun! Add a popcorn machine with movie theather tasting popcorn for an additional $40. (with all supplies for 50 people).